Airflyte is America’s favorite recognition award. Since the introduction of the first Airflyte plaque in 1985, the Airflyte design has been the leader in the field of corporate recognition. 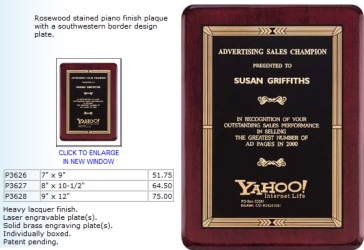 Airflyte plaques are produced from solid American walnut or cherry wood and feature solid brass engraving plates.